Note: It is critical that the ants are not damaged as very small aspects of their anatomy is critical for identification. I can't emphasis this enough. 1) collect on a cool morning. If your ants are fire ants, they are much less likely to sting when cool. 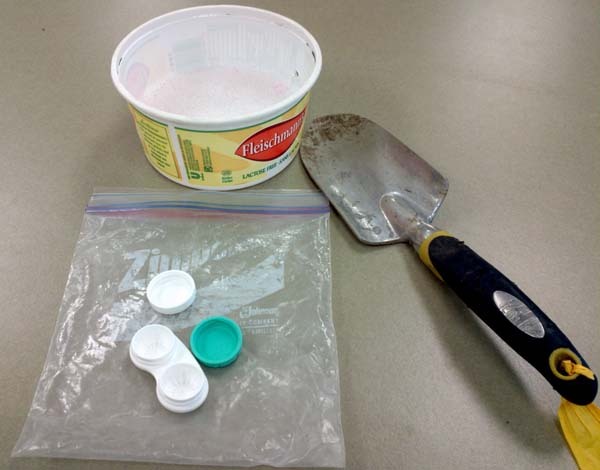 2) use a garden trowel or similar piece of equipment and scoop some of the nest into a bucket or pan of soapy water. Let nature take its course. 3) gently removed the dead ants (at least 10, preferably 20 or more) from the water and put into a water-proof container (one resident used an old screw type contact lens case). Add some alcohol to the ants in the container to preserve them. Clear alcohol like vodka or gin is best but anything will do, even wine or rubbing alcohol. “ UN 1170- Limited Quantity ” This is a post office code to indicate there is alcohol in the package but less than 100ml (and thus safe to ship). It is ideal to receive the ants in 95% ethanol to allow for any future DNA work. Collect the ants directly with soft forceps that will not crush the ant (e.g., BioQuip Featherweight forceps, part number 4748). Avoid the soapy water and place directly into 95% ethanol. If the ants are small you can dip the forceps in the alcohol and simply touch the edge to an ant causing it to adhere via surface tension. 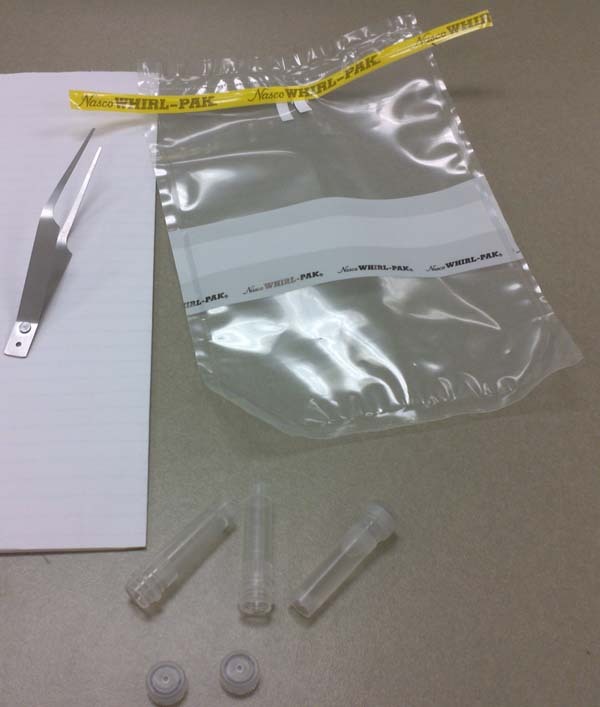 I recommend using 2ml O-Ring plastic vials (e.g., Fisherbrand microcentrifuge tubes, part number 02-682-558). These are great for shipping and storage. Place the sample in a baggie or Whirl-Pac and ship to the address below. On the front of the envelope please add“ UN 1170- Limited Quantity ” This is a post office code to indicate there is alcohol in the package but less than 100ml (and thus safe to ship).